As Firefox is growing its presence on the Web by getting not just new features but also adding new versions to meeting specific requirements, its creator, Mozilla, has started redesigning the traditional Firefox logo. The company believes that with the addition of voice assistance and virtual reality (VR), the original flaming tail doesn’t represent its “entire product family”. This is the reason it is going beyond recolouring and dissecting the fox and set to start from the scratch. 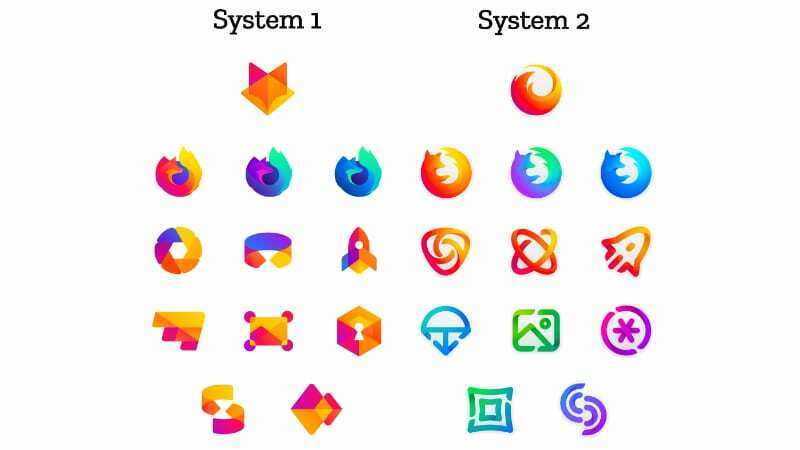 Being an open-source company, Mozilla is using community support and looks for user feedback to start designing the new Firefox logo. Earlier this month, an Android browser with codename “Fenix” was reportedly in development from Mozilla to target a younger audience that what is using the Firefox browser presently. It was also last month spotted that the company is building a voice-controlled platform that will debut as ‘Scout’ and will help users make a switch from keyboards and access the Web using their voice. Unlike picking up the flagship Firefox browser into consideration, Mozilla is set to take all its developments into account while designing the new logo. This means that the company is in plans create a logo that will fit its different offerings, including the ones that are currently in the pipeline. Mozilla has shared two design system approaches and asks users to give their feedback. Instead of taking a crowdsourcing approach or hosting a poll, users need to give their comment on its blog to help the company pick an appropriate design. Furthermore, the two approaches include a “masterbrand” design that comes either as a geometric fox head or a swooshing flame – depicting the existing logo that was notably redesigned in December last year. The masterbrand design is aimed to come as an umbrella under which the entire Firefox product lines will live. But for individual apps, the company has provided options for a general browser icon and some singularly focused browser icons that are aiming at standalone apps, such as Firefox Reality and Firefox Focus. There are also icons for new apps and services that signal the unique function of each product. “Still in the works are explorations of typography, graphic patterns, motion, naming, events, partnerships, and other elements of the system that, used together with consistency in the product, will form the total brand experience,” added Murray and Enros. The initial designs are “still a work of fiction” and aren’t that icons “final”. This means that the final designs may have some changes over what Mozilla has designed initially. Meanwhile, it is asking users to give their feedback on the initial designs. As we mentioned, Mozilla is currently expanding its Web presence by adding new features to Firefox. The company is also reportedly building new web browser offerings such as an all-new Android browser for the youth and Scout to take on the competition that mainly has Apple with its Safari, Google with its Chrome, and Microsoft with its Edge.